Casa Padrino, the hip baroque wholesaler from the beautiful city of Essen (Germany), offers you a very extensive and exquisite collection of illustrious bar stools to complement your individual living needs. All bar stools are made of very high quality materials. For this reason, we guarantee that you will enjoy these pieces of furniture for a long time. Whether you are setting up these stylish and exquisite modern bar stools in your business premises or at home, you will always be able to enjoy a noble and glorious appearance with these pieces of furniture and inspire your guests. Our barstools consist of e.g. made of solid wood, polycarbonate, acrylic and metal. 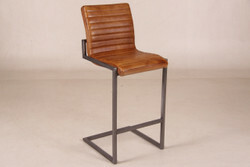 With our wide selection of bar stools, you will certainly be able to meet your personal needs.